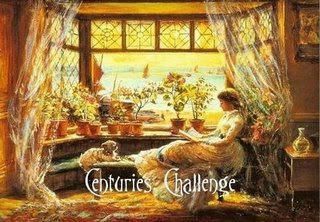 Becky is hosting the Centuries Challenge, which runs from 1 January to 31 December 2009 and requires us to read 4 to 6 books from 4 different centuries. Thankfully, they don't need to be consecutive! For more information and for literature timelines, visit Becky's challenge post. I'm listing some ideas of books I'd like to read - possibles only, no final choices at this point.